Abraham Lincoln, Nelson Mandela, Steve Jobs, Oprah Winfrey – some of the greatest leaders of all time. But what makes each of these individuals such a remarkable leader? And how do we define great leadership? We may be apt to hold on to the traditional notion that leadership is defined by rank and order. But your position or title alone does not qualify you as a veritable leader. Think about it, how many CEOs are there in the world that hold a position of great power, but have a nominal impact on their employees? How many managers aren’t even respected by those that they manage? Even brilliant and innovative individuals can stumble when it comes to finding their voice. Because leadership is not defined by a position, nor it is even defined by intellectual prowess or natural talent – leadership is the skill of influence, something that you can use to impact the thoughts, feelings, emotions and actions of others. And it is the most important skill that any one of us can master. Yet as important as leadership is, in today’s world, it’s a rarity. And that’s not because there is a scarcity of natural born leaders. In fact, leadership can be cultivated. Many of us suppose it’s an innate talent, but anyone can become a leader in something that they decide to become masterful in. You could be the leader in your business, the leader in your class, the leader in your own family. You could even decide to become the leader of your own life. There are different types and different styles of leadership. But real leadership starts with the capacity to discipline your disappointment. Because along any journey worth taking, you are going to encounter obstacles, and odds are, you are going to fail. But if you can find a way to connect to yourself, and connect to others, and if you can find a way to break through those challenges, you can become a true leader. And when you strive to serve the greater good – something greater than yourself – that’s when you can become a truly great leader. 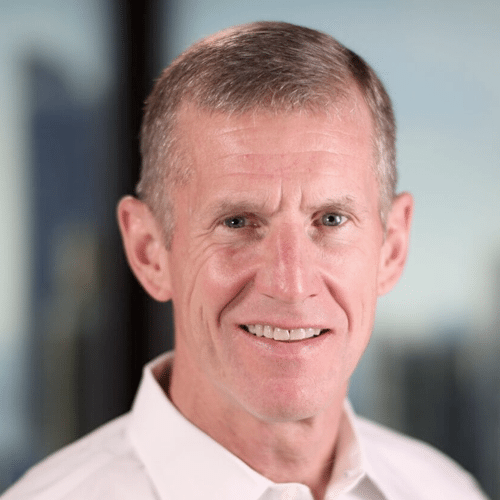 Tony and Mary Buckheit recently sat down with General Stanley McChrystal and Chris Fussell to discuss what great leadership looks like today and how to cultivate an infrastructure for success in any organization. General Stanley A. McChrystal has been called “one of America’s greatest warriors” by Secretary of Defense Robert Gates. A retired four-star general, he is the former commander of U.S. and International Security Assistance Forces (ISAF) Afghanistan and the former commander of the premier military counter-terrorism force, Joint Special Operations Command (JSOC). He is best known for developing and implementing the current counter-insurgency strategy in Afghanistan, and for creating a comprehensive counter-terrorism organization that revolutionized the interagency operating culture. General McChrystal now serves as a senior fellow at Yale University’s Jackson Institute for Global Affairs where he teaches a course on Leadership in Operation. 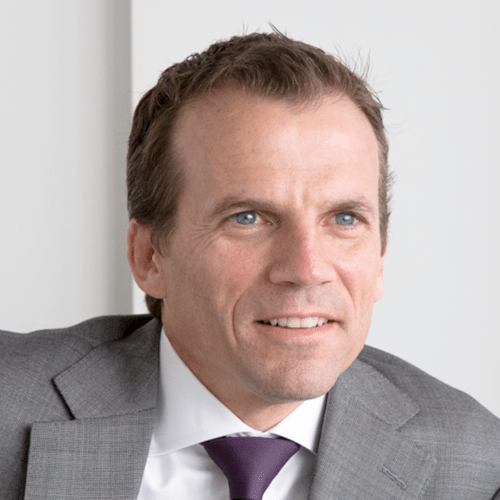 And he co-founded the McChrystal Group in January of 2011 where he is currently a partner. McChrystal Group’s mission is to deliver innovative leadership solutions to American businesses to help them transform and succeed in challenging and dynamic environments. Chris Fussell is a former Navy SEAL Officer, where he spent 15 years leading SEAL elements in combat zones around the globe. He served as Aide-de-Camp to Lieutenant General McChrystal during McChrystal’s final year commanding JSOC, becoming an integral part of the team that made the Special Operation’s transformation into a successful, agile network possible. Fussell is also a partner at the McChrystal Group, where he leads the McChrystal Group Leadership Institute, where he brings his Special Operations experience and his expertise in leadership development to organizations of all sizes. In addition to being a New York Times bestselling author, he regularly does media interviews, gives keynotes speeches, and speaks to business leaders at roundtables and panels. In this episode of the podcast, you will hear Tony, General McChrystal and Chris delve into the reasons that leadership no longer comes from a command and control model, but from creating relationship-based change throughout the entire organization and by empowering every single person that is part of your business. And they examine the importance of building trust, remaining flexible, practicing empathy, and creating a culture of shared consciousness. By breaking out of the traditional sense of leadership, business owners can create a more cohesive and more powerful team that is not only more unified, but more efficient, and ultimately, more effective. [1:04:35] What is the decision and when does it have to be made? [1:04:40] What information do I have to have to make that decision? [1:04:50] Who else needs a say in this decision? How to build a team that works – Three questions that you can ask to ensure you are hiring the right people and building a team that will help your company thrive. The change cultivator – How Gene Baur is breaking barriers and creating the change that he wants to see in the world. How to make employees into leaders – By empowering your employees, you will instill a strong sense of leadership in the everyday culture of your business.